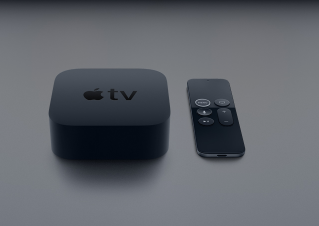 Both of Chromecast and Apple TV allow you to stream content from your computer or mobile devices into a projector or TV. However, there are some major differences which you need to consider if you are thinking to use them in class with students. For $35, Google Chromecast comes at a cheaper cost than Apple TV. Using an HDMI input you will be able to instantly plug it to a projector and start wirelessly outputting content from your computer or tablet into a bigger screen. This is particularly handy when giving presentations in class. You can move comfortably around the class while remotely controlling screen display from your mobile device. And in case there are multiple presenters in class, they can take turns in presenting their content seamlessly by simply pressing the “cast" button. Another interesting feature is the ability to cast your Chrome tabs directly to your TV or projector. You simply install Google Cast extension, connect your laptop or tablet to the same Wi-Fi network as your Chromecast, then go to any website and click the cast button and watch. However, only websites optimized for Chromecast support this functionality (e.g YoutUBE, Netflix, HBO GO…etc). Casting other websites is presently in beta feature. Also, tab casting is usually slower than video streaming. A Major concern for using Chromecast in the classroom is the lack of robust security features that allow teachers to control what is displayed on the screen. Any student with a mobile device in class can easily push content to the screen and hijack teacher's screen. Unless the teacher sets clear rules on content sharing using Chromecast, this could be a complete fiasco. Additionally, Chromecast is essentially a video and audio streaming utility. As such, it does not lend itself to screen sharing in the way Apple TV does. Unless the app or website is Chromcast compatible, there is no way you can cast it into your projector. Overall, Chromecast is a great utility but with limited features for classroom inclusion. If you are seeking a device for mere screen sharing, Chromecast is definitely not for you. Final verdict: When it comes to screensharing and content mirroring in class, Apple TV is, in our eyes, the best option to go with. There are also other alternative for screen sharing which you can find in this page. Google Chromecast Wireless Display for The Classroom? Is The Chromevast An Apple TV Replacement in The Classroom? Google Chromecast Not Ready for Education ?